Do you know injuries are the most common cause of knee problems? Do you know knee problems and injuries often occur during sports or recreational activities, work-related tasks, or home projects? 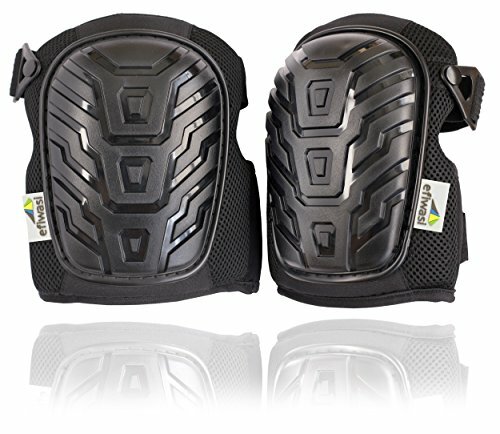 EFIWASI Knee Pads will protect your knees while you perform your job or home projects you love, adding comfort to your knees and increasing your productivity. HEAVY DUTY: All materials are intended for heavy use. Each product pass through a supervised testing process which includes Impact, Impermeability, Tensile and Force Distribution Testing’s. If you have any questions about this product by Efiwasi, contact us by completing and submitting the form below. If you are looking for a specif part number, please include it with your message.